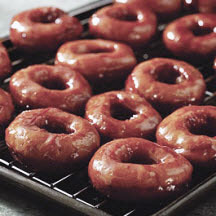 CooksRecipes has quality, kitchen-tested recipes for doughnuts, beignets, elephant ears, bunnelos, sopaipillas and fry breads that you can count on for successful deliciousness. 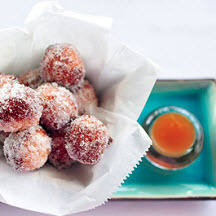 Old-fashioned deep-fried doughnuts with a salted caramel glaze. Recipe by of Chef Jeremy Specto. 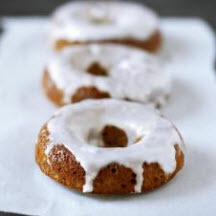 Made with ground pistachios and almond flour, these baked, gluten-free iced donuts will satisfy a sweet tooth any time of the day!